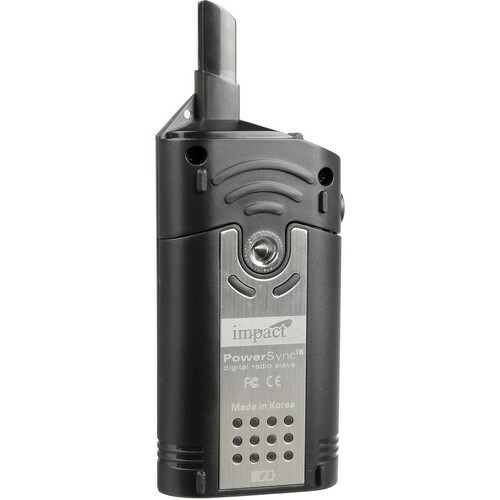 The Impact PowerSync16 DC Receiver (100-240VAC) is one-half of the PowerSync 16 radio slave system for triggering flash and camera units up to 590' (180 m) away indoors, or 200' (60 m) outdoors using the PowerSync16 Transmitter (available separately). PowerSync16 has 16 digitally coded channels available so you can even work at events with other photographers without flash or radio interference. You can trigger as many flashes or cameras as you like from a single transmitter, as long as they're all on the same frequency and have this PowerSync16 DC receiver or the optional AC receiver. Flash sync speeds of up to 1/250 second are possible with PowerSync16. Combine this receiver with a camera release cable to match your particular camera model and you can use the PowerSync16 system as a wireless camera remote control. This receiver operates on 2x AA batteries. 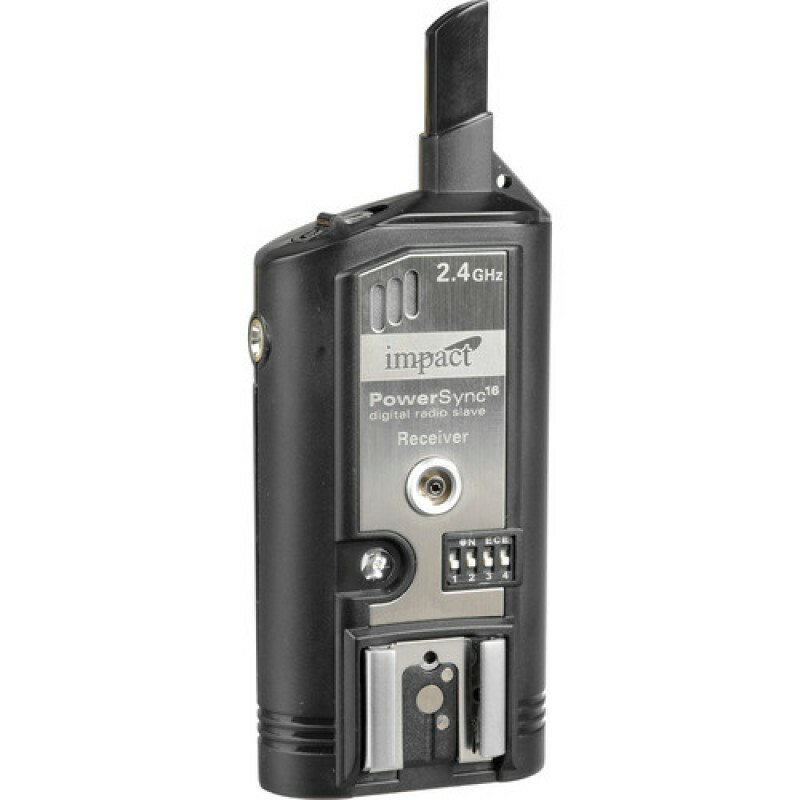 The PowerSync system is not designed to perform in TTL mode with flash units - the flash must be set to Manual Mode. Digitally coded at 2.4 GHz for multiple set-ups; work at events with other photographers without the worry of flash or radio interference. 590' (180 m) indoors; 200'+ (60+ m) outdoors. An above-average range for the most demanding situations (radio interference and low battery strength will lower your effective range). Compatible with most cameras, offering a maximum sync speed of 1/250 second; allows the user to capture most studio and event scenes. This receiver is equipped with a multipurpose hot-shoe mount for use with on-camera or remote portable flash. 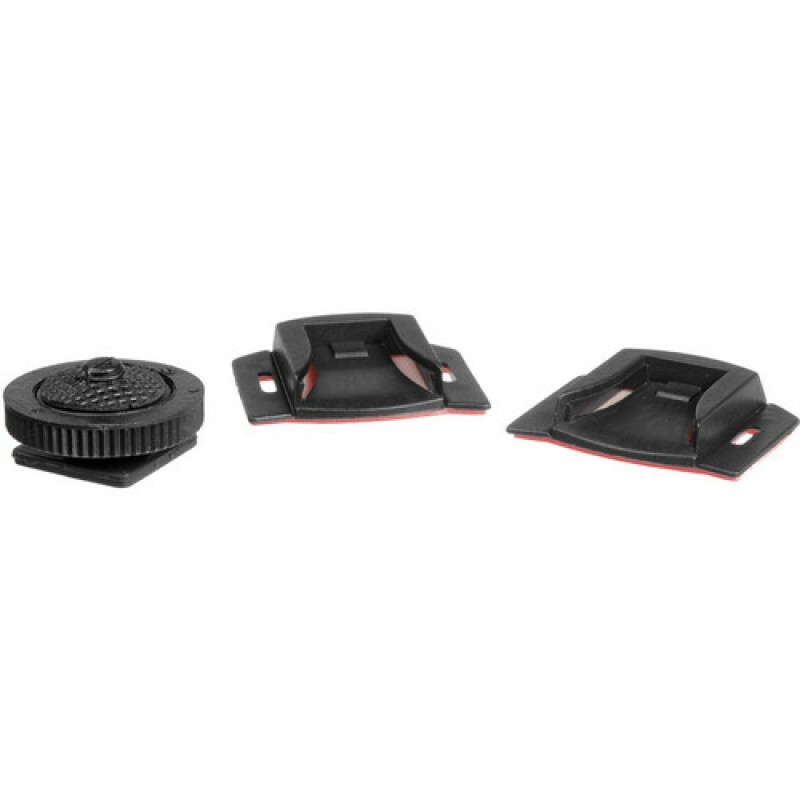 Tests have established that the mount works with the hot-shoes of most major brands. The receiver features a 1/4""-20 threads, for convenient mounting on any 1/4""-20 mounting screw. For added convenience, it also features an eyelet designed to accept a lanyard. By adding the optional AC adapter (Impact# 9031520) you can convert this DC unit to be used as an AC unit. Besides for eliminating the need of batteries, this will also provide you with the ease and convenience of global voltage (100-240V). 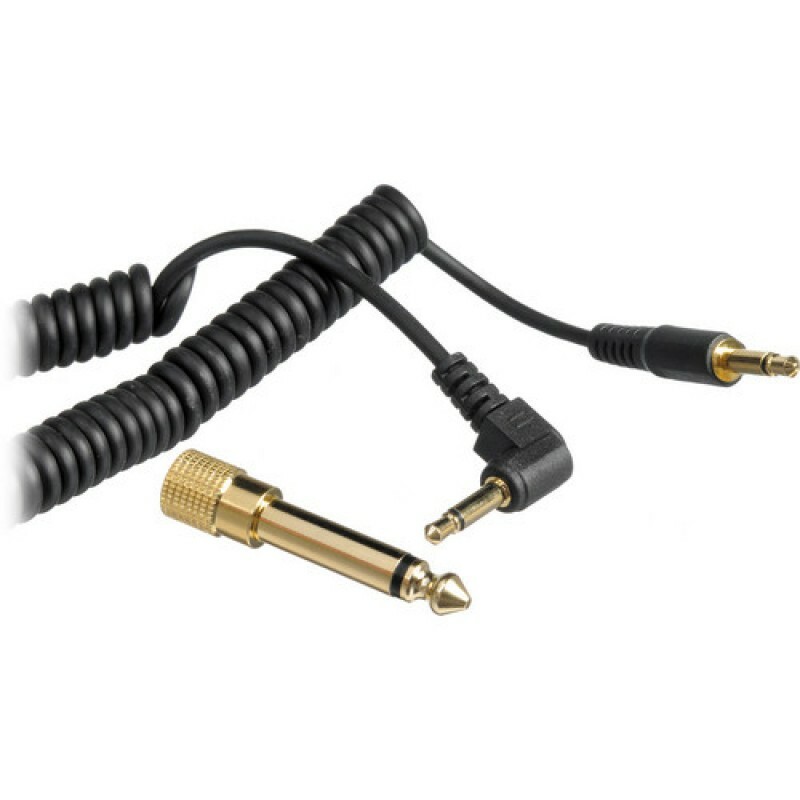 With the adapter attached, the receiver utilizes current from a host flash lighting unit. Operate your receiver without the hassle of replacing batteries.